Honorable Mention in 2017 Homebrew Label Awards! October 26, 2017 October 11, 2017 by Nick K.
Our label for “The Hop Healer” won an Honorable Mention in the 2017 Homebrew Label Awards! Thanks so much if you helped us win by voting during the competition. 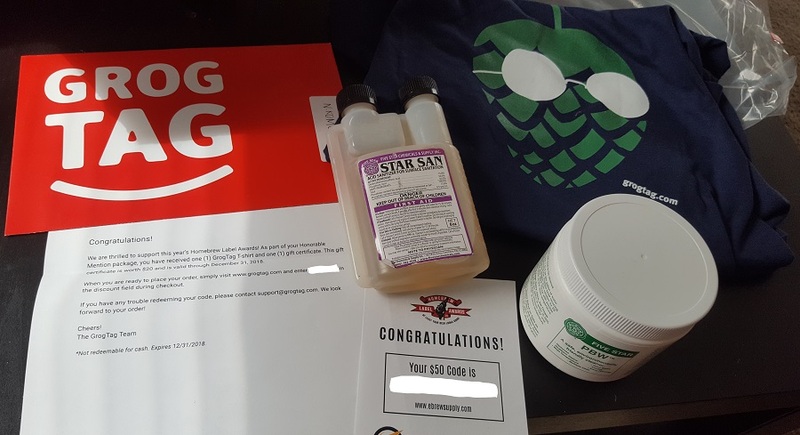 We received a bunch of useful prizes! They are so useful that we are going to change up what we brew next. So the Pompous Tele-Porter batch #2 will be bumped back in the brew days. 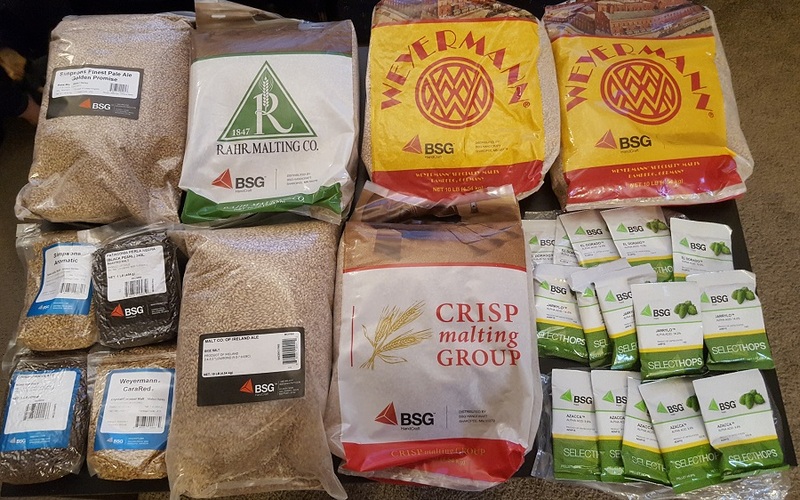 We will be making a new IPA recipe that will utilize the awesome grain and hop package from BSG Craft Brewing on our November 5th Brew Day now. Details for name and such on the new beer will be coming soon. For now check out the prizes we won!